Halimah is a Maasai mom with a new baby from a remote village out on the plains. She almost bled to death after the birth of her baby at home. 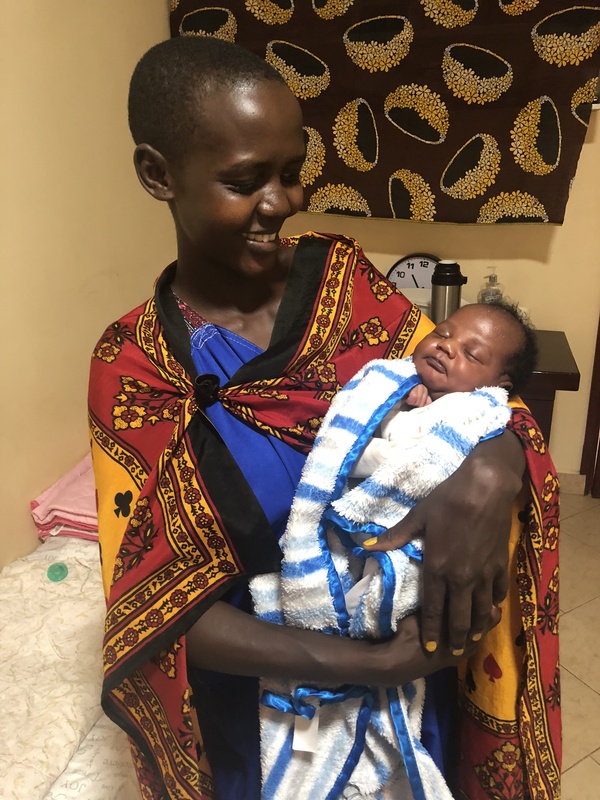 We brought her in to the hospital for surgery when she realized she was in trouble and then brought her to Neema after she was released from the hospital. She stayed with her baby in our isolation room for a month. We have agreed to help this mom with a chicken/egg business. We have 40 one day old chicks (layers) that we will be taking out to her village in the next few weeks. We paid 200,000 for her husband to finish a chicken coop (about $100 USD.) We flew the chicks in from Nairobi and they were 2,500 Shillings each or about $1.50 each so about $60 for the 40 chicks. We will help with 6 months of chicken feed at 45,000 shillings per bag, about $22 per bag and 6 bags, which amounts to $132 for feed. Her business will cost $292. If you can help with this business that would be wonderful. This MAP program is helping so many women with hope that they can make a better life for their children. Please click on the donate button and remember don’t put Halimah’s name on the donation if you want a tax donation. IRS rules! Thank you.